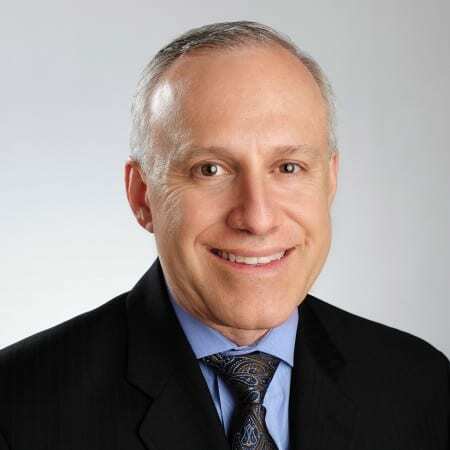 Dr. Freedman is currently the Vice-President and a Founding Partner of Foot and Ankle Specialists of the Mid-Atlantic, LLC and has been practicing at the Leisure World location since 1988. Dr. Freedman was recognized by his peers nationally as “VIP DPMs 2017-Movers and Shakers: America’s Most Influential Podiatrist,” he is a past President of the Maryland State Board of Podiatric Medical Examiners, past Chairman, 9th and 10th Annual CAC/PIAC meeting of the American Podiatric Medical Association, a coding committee advisor to the American Podiatric Medical Association, and a CAC Podiatry Representative for Maryland. Dr. Freedman is active in the Olney and Rockville communities by supporting various organizations, such as Olney Boys and Girls Club and Rockville Baseball activities. He has 3 grown children (Bonnie, Dan and Molly), a son in law (Mark), and 2 grandchildren (Sophie and Madden)! He loves to read in his spare time, exercise regularly especially running daily and play golf. Doctorate of Podiatric Medicine, Temple University School of Podiatric Medicine, Philadelphia, PA, 1986. Post-graduate training, in podiatric surgery, at Kessler Memorial Hospital in Hammonton, New Jersey. Dr [Freedman] and Dr K have been excellent. Highly recommend. Vicki is fantastic. She makes people feel welcome, and is totally caring. A gem!!!! Very pleased with my experience with Dr. Freedman. He eased my concerns about my problems with my foot. I was glad that I was recommended to his practice. Dr. Freedman indicated his concern about my foot issue and was thorough in his exam and treatments. He explained to me what possible complications might occur, and if they did that I should go to the hospital. He also explained his choice of antibiotic. Dr. Freedman was extremely helpful and thorough. Everything went well at the visit. The doctor is very personable and knowledgeable about foot problems. He is great with understanding senior citizens' needs. Dr. Freedman and his staff are topnotch in every aspect if my interaction with them. It is amazing the detail with which Dr Freedman explains what is going to happen and then the efficiency with which it is carried out ... excellent job! Over the years I have seen approx 6 different Drs. because of a sore on my leg that would not heal. I did not go to Dr. Freedman because of the leg but when he saw it , he immediately asked me questions and did a Pump biopsy Result was cancer. He was wonderful in his explanation to me and my daughter. .
Dr. Freedman and his staff are excellent. They are professional, polite and congenial. Dr. Freedman and his staff were all great.....really positive experience at this doctor visit....great admin staff too! Dr. Freedman and his staff have ben very accommodating before and after the surgery.